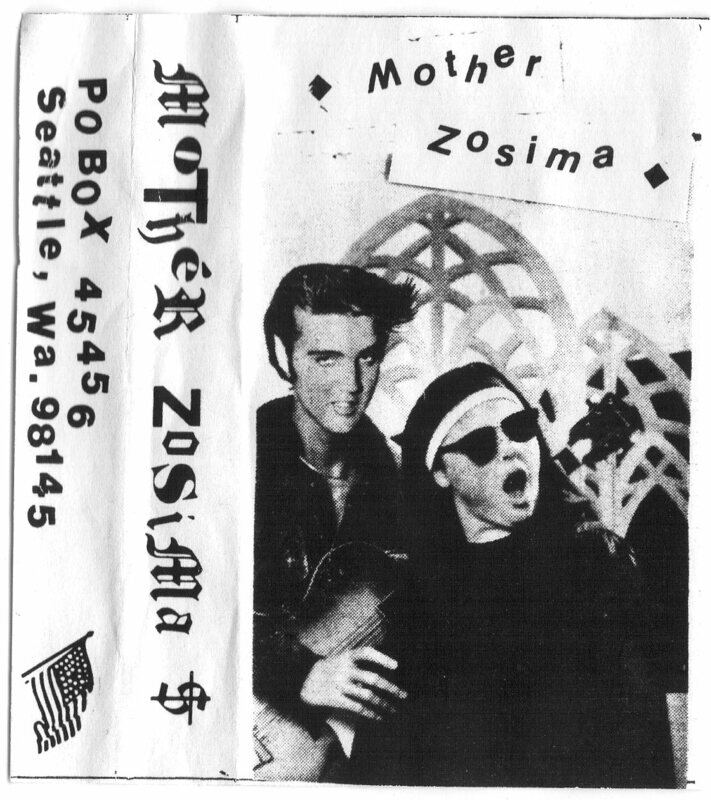 Mother Zosima (the radical nun) was a feminist avant-folk project created by Kirsten Anderberg based on performances at Seattle (night-)clubs between 1983 and 2001. She took her name from the character Father Zosima who is one of the characters in The Brothers Karamazov (1879) of Russian author Fyodor Dostoevsky. In the story Father Zosima is some sort of guru as well as an ideal image of an orthodox Christian saint living in a monastry. He preaches for compassion and peace, basically as a reflection of Christ. During the course of the story Father Zosima dies and his holiness is called into question by the rest of the monastry because his body starts to decompose very rapidly leaving behind a terrible smell. This decomposing process is being looked upon as a sign of God prooving that Zosima was nothing but a mortal soul. I suppose by inverting this character into Mother Zosima not only is Anderberg opposing Dostoevsky's approach of putting the man at a literary centerpoint - The "Brothers" Karamazov - as feminist critique, she is also shaping her own mirrored performative image as a radical nun that is preaching her own ideals. By choosing the title The Greatest Story Ever Sold she shows her cleverness of creating this image but also the self-irony she puts into her personification since Zosima is being looked upon as a mortal soul. 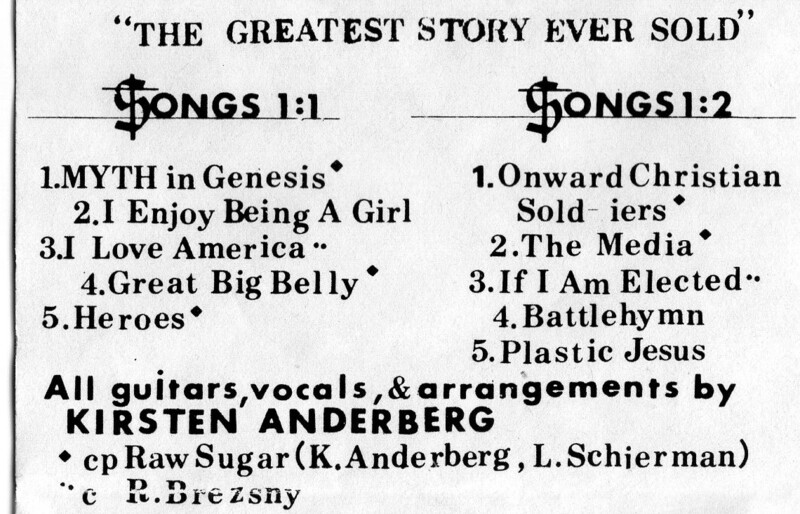 And that's why this is some incredible music criticizing the American society. It is not at all stagnated into this contemporary gender and identity poltics debate we deal with nowadays, but it shows how cleverness, self-consciousness, lots of humor and appropriating commercial culture can actually serve the cause of the actual message. 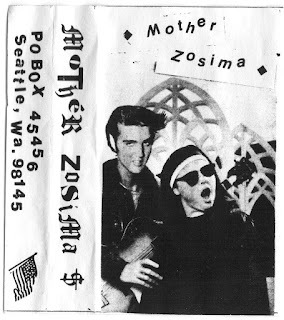 The music by Mother Zosima is straight radical feminism, criticism of politics, criticism of commercial culture, criticism of weird American morals and Christianity etc. but it doesn't directly attack its enemy. It's an approach of empowering the woman, not obeying to conformism and preaches for self-empowerment while dissecting the different corrupted aspects of American society with humor and with a lot of skill. 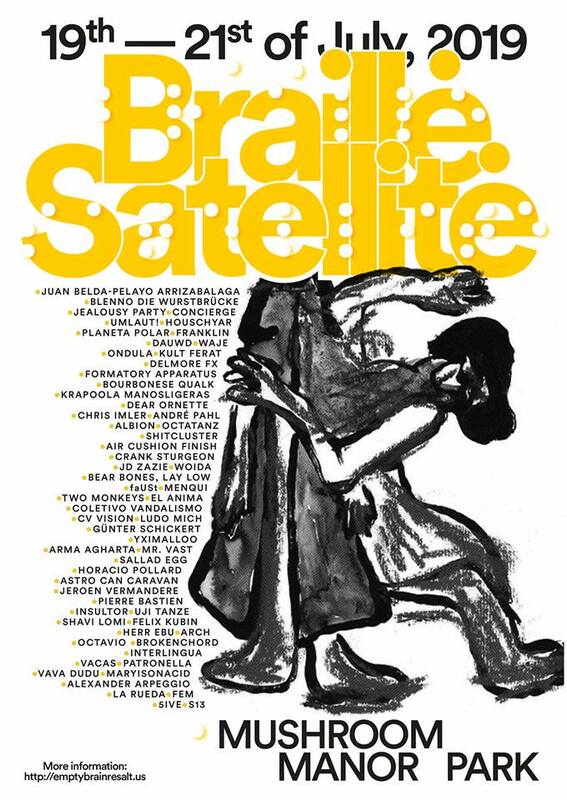 It reminds me of the feminist beat poets of the sixties like Diane Di Prima as well as some other female protest-song vocalists from the revolutionary hippie times in the States. It musically also comes close to Care of The Cow and their singer Christine Baczewska's solo work and even of certain songs by Annette Peacock. The songs by Mother Zosima are still so extremely relevant today. It's like nothing has ever changed. Specially when we look at this madness with Trump and the current state of the United States. To me it's really important to see how Mother Zosima's music is not some cult music stuff from the glory days of hippie hights, but music from a much later era carrying these important messages whilst not yet fallen victim to today's infinite cynical and polarised political views. We can learn from this creativity today and understand how political hyper-reality doesn't help us further by fighting it's xenophobic symptoms, but to put forward a message in a very clever package without being distracted nor doing concessions to constant exterior confirmation. This is what empowerment looks like. This is what is so deadly important about Feminism. I hope that Archaic Inventions can sometimes show the link from the past to today and provide possibilites and/or show the potentials of emancipatory power. 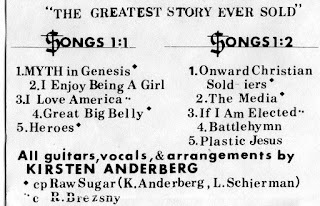 The Seattle scene of the 90's - aside from the birth of Grunge (an albino, a mosquito..) and stuff - was probably very very interesting and consisted of a creative diversity that was able to birth all of this legendary musical output. But yep, what a time we live in now! But we won't let our guard down. No worries. Enjoy Mother Zosima! (btw I wasn't too sure about the year of the release). Turn on, tune in, drop out. Today. The music I offer here is for promotion only. Please look for records or cassettes yourself and support the artist. Always. None of the music posted here can be found elsewhere on the internet as far as I know. Moreover the music is out of print for a long time. I share the music because I want you to hear it and because it deserves to be saved. However, if you're an artist and you are not pleased with your music being published here please comment or send a mail and I'll remove the post instantly! All rips are done by myself.